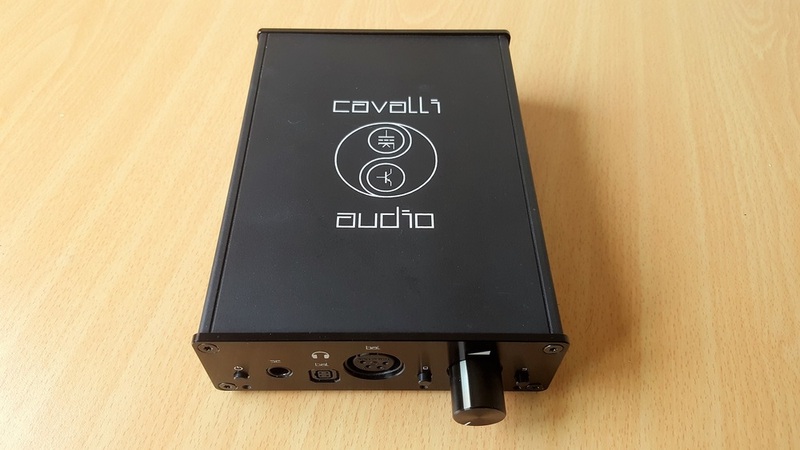 Cavalli Audio will not sell the Liquid Carbon headphone amp anymore, with the second and final run ending a month ago, but I hope the following is useful to those looking to pick one up on the used market. My Schiit Asgard 2 had served me very well from when I purchased it in mid-2013 to earlier this spring, when I found that it made my ZMF Vibro Mk. I sound a bit too stuffy – an overabundance of warmth due to both headphone and amp being of warm sound signatures. I then opted for a more neutralSchiit Magni 2, which fared far better as a pairing. Even later, when I was using a ZMF Omni as a daily driver and had sold the Asgard, I missed some aspects of its warm sound signature. I thought back to my favourite two pairings of the Sennheiser HD600 and the Hifiman HE-400i with the Asgard, the latter being especially pleasing to my ears, and missed its abilities. It was with this mindset, of wanting character rather than neutrality, that I began searching for a Cavalli Liquid Carbon on the used market. I wasn’t aware before my search began, but Cavalli Audio and Dr. Alex Cavalli’s designs were incredibly well-regarded in the audio community. The Liquid Carbon was made as a way for the small Texan company to thank their staunch supporters, offering their house sound in a small and affordable offering that had balanced input and output options. From what I have gathered, its popularity exploded due to demos at meets and conventions because of its compact form factor and sound quality. A second run was started, this being the final one, and the original price of $599 was bumped up to $799 due to releasing it again with the original pricing not being viable for Cavalli. To sweeten the deal, the company offered brand T-shirts and anAudioquest NRG-X3 power cable – of which neither Cavalli nor I will make any claim of improvements in sound quality. Finally, they also included a full license of Sonic Studio’s Amarra Hifi Music Player software. Seeing the long wait ahead, and my own limited budget, I found a used one from the first run with the serial number 00202. I was, honestly, awed by the fact that the warranty was transferable and I contacted Cavalli CEO Warren Chi to have it done. He asked if I had any impressions of the unit, and boy did I ever. Inputs: 1 x XLR(Bal); 1 xRCA; 1 x 3.5mm - front panel selectable; RCA and 3.5mm are the same input. Outputs: 1 x 4-Pin XLR; 1 x TRS, 1 x RSA. Cavalli, thankfully, didn’t opt for a glossy finish on the back and sides of the Liquid Carbon. The matte black is still a dust magnet, but you won’t see fingerprints adorning it. The front panel, however, is not quite glossy but still susceptible to the aforementioned problems. I found the unit to feel hefty yet light in my hands, which along with its small size makes it really useful for a nomadic person such as myself. It felt solid and premium. The volume knob turns in a very measured and smooth manner and has a brushed metallic feel to it. It does not produce any undesirable noise when adjusted. The front panel is also home to a SE ¼ pin output as well as two balanced connections. I have read that someone damaged their amp by having headphones plugged into the balanced output while simultaneously having another set plugged into the SE output so please do not make the same mistake. The gain switch is a small button on the side of the volume knob and is red when activated. Finally, the far right button is an input selector. 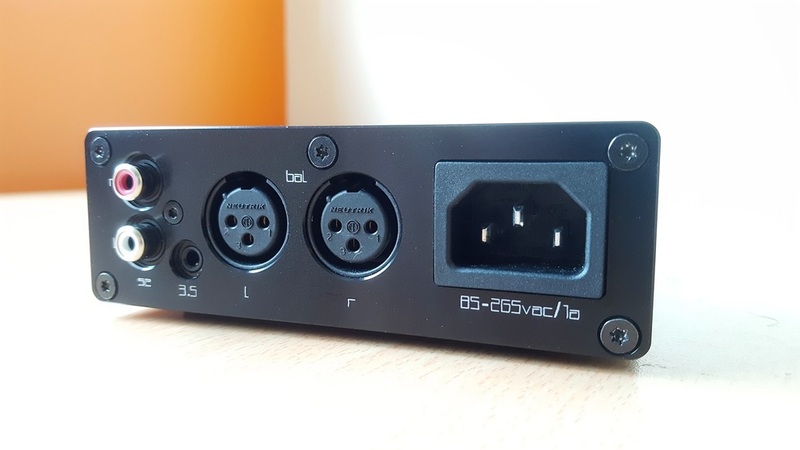 The back panel consists of one pair of RCA inputs, inputs for balanced Neutrik XLR connectors and a 3.5mm input. The power cable was not a wall wart, as was the case with the Schiit Magni 2, but rather an 85-265vac/1a connector for a full-sized power cable. The original run did not come with rubber feet, which I feel are sorely needed for this unit. I bought my own from a third-party seller on eBay. The second run did, however, have rubber feet included. Overall, a sturdy and handsome piece of audio technology that would find an easy home on any desk. I also, personally, like the Cavalli Audio logo’s design and it being emblazoned on the top. The font used throughout the model is also unique and interesting. Now to the main event – the reason why I blind bought this amp. The Cavalli house sound is widely praised but has been, by far, out of my financial reach because the very next amp in terms of price (ascending price) is the Liquid Crimson, which costs $2,999. As you can well imagine, the promise of the Cavalli house sound being present in a $599/$799 priced unit was a curiousity creator. Upon plugging in, my first reaction was along the lines of “this is definitely not trying to be transparent.” I had grown accustomed to the Magni 2 and was hearing a more refined version of the musical warmth I had once known so well over the period of several years with the Asgard 2. Do not let the description of it not sounding very neutral throw you off, this is still very much a solid state amp and music sounds as it should without any unnecessary changes. My ZMF Omni, which was now plugged in for the first time using a balanced output, felt more controlled. The T50RP mod is quite power hungry, and although the pure wattage of the Liquid Carbon is not substantially higher than the Magni 2, it did a far better job at refining the sound and keeping the bass in check. Suddenly, my music had gone through a transformation not so dissimilar to when I switched to the Schiit Gungnir in terms of presentation and control. A sense that my audio chain had morphed into a well-oiled machine was prevalent as the days and weeks passed since I first put it all together. I would say that the Liquid Carbon is not an analytical amplifier as is the likes of the Schiit Mjolnir 2, which offers superior resolution. What the Carbon is, however, is the provider of a smooth and syrupy audio experience that does not lose out on much of its detail and texture. All my praise for the Asgard 2 had much to do with how it warmed up the mids and made vocals and acoustic instrument sound genuinely live and organic. The disadvantage of the Asgard, in this regard, was that when faced with a warmly-tuned headphone, it stumbled and led to the sound becoming boomy with too much bleeding of the mids and bass. The Liquid Carbon also toasts the mids to a light golden-brown but does not overdo it, leading to the backing tracks in songs sounding far more measured with no hectic detractions. The warmth is in no way overbearing, but rather to the exact sweet spot where it feels pleasing to the ears without making it incompatible with headphones – making the Liquid Carbon enhance the sound of headphones rather than being picky about pairings. The Omni’s performance on the Liquid Carbon is the one I have spent the most time with, and the one that impressed me the most. Zach’s T50RP mod, which the Vibro also is, took a great liking to the Carbon – through balanced output. The strengths of the Omni were amplified, no pun intended, as the authentic acoustic instrument recreation became just a touch more vibrant and lively. The bass, of which the Omni has a large amount, became punchier than it previously was and seemed to dive just a tiny bit deeper. The forwarded mids were a delight, with vocals sounding breathtaking and not cold at all – even with overly processed genres such as electropop. The Fostex TH-X00 (with the standard non-removable ¼ cable) saw benefits to its lower mids, with male vocals and harmonies becoming a lot more pronounced. The largest benefit was to the bass, of which the TH-X00 has the deepest I have heard on any headphone. A/B’ing it between the Carbon and Magni 2 also showed that the highs, to my ears, were slightly less strident on the former. The W-shaped sound signature sounds like it has slightly melted, leading to less stark peaks and more to an overall effort at musicality. The Hifiman HE-500, also with balanced output, saw as large an amount of benefit that the Omni did. The soundstages of both the Omni and HE-500, both of which are quite vast (especially the Omni, being semi-closed as it is) are spread a touch further by the Carbon. Instrument separation on the HE-500 benefits greatly from the Carbon, with an understated power taking over to lend weight to each musical note you hear – be it from acoustic or electronic instruments. This pairing is my new favourite of all the headphones I have owned, overthrowing the Asgard 2 + Hifiman HE-400i reign. A/B’ing it with the Magni 2, which powers it as needed in terms of volume, the HE-500 took a great liking to the Carbon’s gentle simmering nature. The sound has far more body, to put it simply. The 64-ohm VE Monk Plus has additions to its sound made by the Liquid Carbon too – with the already excellent soundstage opening up further and a more acute low-end opening up. With portable devices, I tend to use foam on the earbuds – but the Carbon adds enough body and warmth that I can’t help but prefer the Monk to be bare. What the Liquid Carbon does is take a light to all your headphone pairings without disturbing the balance that the manufacturers worked to achieve. Sound becomes more punchy and warm, particularly in the mids. However, the disadvantage of this choice of presentation is that the sound feels “candy-coated” compared to more analytical amps that prioritize neutral resolution. This is not the amp to use if you want to hear every note come out at you with the impact of a whip cracking. The Liquid Carbon is, rather, an overall effort to add a certain character to your audio chain – without resorting to the likes of a tube amplifier. It should also be noted that I do hear a very slight hum if I plug the likes of my Shozy Zero or Zero Audio Carbo Tenore into the SE output jack. This is a known power-related problem with the first run of Liquid Carbons that related to the use of sensitive IEMs, a problem that has apparently been remedied in the second run. It does not bother me so because I use higher impedance headphones, particularly power-hungry planar magnetics. I do not hear it with the VE Monk Plus, so that further lessens any worry. If you are going to use the Liquid Carbon, I would highly recommend using the balanced output if you can. It provides far more power than the SE output. I would also generally recommend making greater use of the volume knob rather than the gain switch. Low-gain offers a greater soundstage and less distortion in the sound. The 3x/10 dB high-gain, however, is a very good pairing with the ZMF Omni when I want to listen to electronic genres that require ampler and more controlled bass – times I care about impact over the aforementioned qualities. I have to commend Dr. Cavalli and Warren Chi for coming up with the Liquid Carbon, an affordable and compact slice of their impact on the audio industry. Their product takes all the detail my Schiit Gungnir emits and wraps it gently in a blanket of musicality, warmth and pleasurable listening. Most importantly, there is a home to all genres and headphones with the Liquid Carbon – its sound signature is not a bad match with anything I have tried. Ultimately, I hope they come out with another offering that is competitively priced and offers stellar sound and build quality in the future.